To 3D or not to 3D. That is the question still facing many of you. Well, at least the nerd glasses are getting lighter. The new TY-EW3D Series from Panasonic claim to be the world lightest 3D glasses available with just 26g in total in its S and M version while the L Version with its 27g seems to be as “heavy” as other models on the market. These new glasses also come with a new battery offering you up to 3 hours worth of 3D just after 2 minutes of charge or a total of 25 hours of 3D if fully charged for 30 minutes. Panasonic has introduced the RB3 all-in-one LED TV series. It’s available in 37-inch and 32-inch models, which feature Skype, Japanese VOD services, a 500GB hard disk drive and a Blu-ray recorder. The Panasonic RB3 series also uses the company’s 120fps IPS Panel and a new ECO mode, which is handy to reduce your TV power consumption up to 28%. That will save you some money. Sadly we don’t have any info on pricing right now. Digital cameras that can shoot video are a dime a dozen, but only a few give you the power to manually select aperture and shutter speed. The Lumix FZ47 from Panasonic gives you full control over both video and still photo capture with its Creative Control mode. The 12.1-megapixel superzoom can shoot 1080i HD at 30 fps. It also has a 3-inch LCD, 24x Leica zoom lens with a 25mm wide-angle focal length, and you can shoot 3.5-megapixel stills while recording video. The $400 FZ47 will arrive next month. Are you prone to tablet abuse? 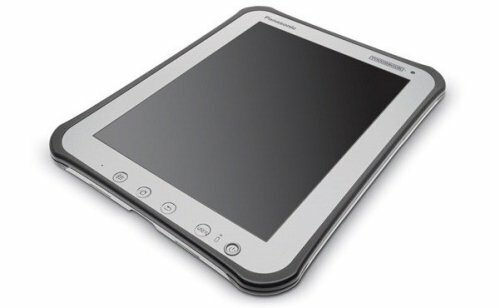 Well, feel free to treat your tablet rough with Panasonic’s Android Toughbook tablet. It features a sunlight-friendly 10.1-inch multi-touch display, satellite-based GPS, full-shift battery life and optional 3G / 4G. It’s an Android tablet built tough. We don’t have any info on pricing or a release yet, but more info is sure to trickle in. The point is, this is a tough Android tablet. It’s tough enough for you. Are you tough enough for it? Panasonic has revealed the prices of its new digital camcorder and cameras. All five will be available in July for around $199.99 for the HMT-TA20, $169.99 for the HM-TA2, $349.99 for the HX-WA10, $279.99 for the HX-DC10; and $199.99 for the HX-DC1. 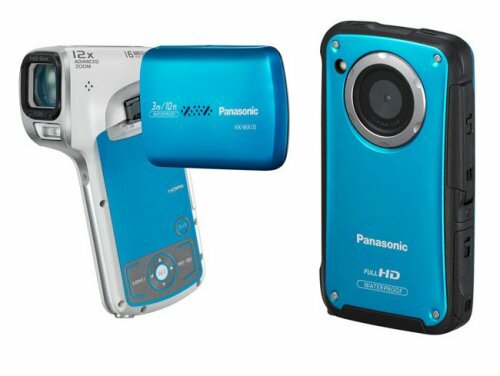 At the low end of the range, the Panasonic HM-TA20 is a full-HD mobile camera with a rugged casing that is waterproof to 10 feet, shockproof and dustproof. It also sports a new Night View Mode. 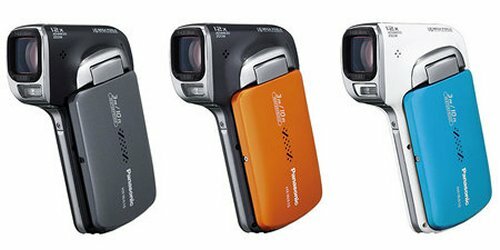 Panasonic has introduced a trio of new camcorders, the HX-WA10, HX-DC15 and the HX-DC1. All three models feature HD resolution and will hit stores in Japan next month. The only model that’s waterproof is the HX-WA10 which is good in up to 3 feet. It features a 16MP sensor, a stereo mic, mini HDMI/USB/SDXC interfaces, 2.6-inch LCD and is $550. The HX-DC15 weighs just 162 grams and features a 3-inch LCD, 16GB of internal memory and will cost you $610. 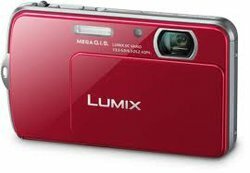 then there’s the entry level HX-DC1 with a 14MP sensor, 80MB of memory, mini HDMI/USB/SDXC interfaces, a stereo mic, and a 3-inch LCD for $425. Rumor is that Panasonic will be launching the Lumix DMC-G3 tomorrow, which is the update to its Micro Four Thirds G2. This new camera is said to be 25 percent smaller than its predecessor with a 15.8 megapixel sensor and a 3-inch articulating LCD. Hopefully it will fit your hand perfectly. Looks like the camera is very similar to the G2 in form, but with no left dial since it has touch controls. All indications are that it will launch tomorrow and that is indeed good news for Lumix fans. Looking for a tough notebook? 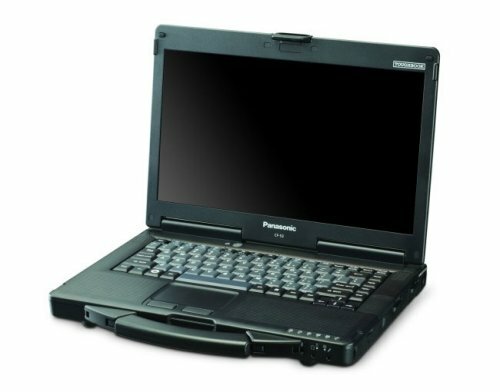 Luckily for you, Panasonic has announced its new Toughbook 53, the company’s latest semi-rugged notebook in the Toughbook family, which sports a 14″ High Definition LED display and is powered by a second generation Intel i5 or i3 processor. Its weighs about 5.6 pounds and will deliver up to 10 hours of battery life and also comes with optional 4G LTE mobile broadband, with optional dual antenna pass-through for in-vehicle use in passenger cars and light-duty trucks. 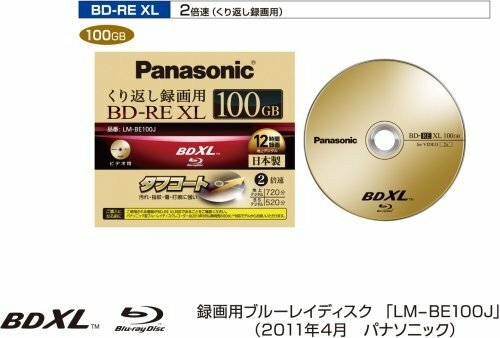 Panasonic is finally ready to offer up its new triple layer BD-RE XL discs to the masses on April 15th in Japan. The LM-BE100J is the first rewriteable BDXL available and as such will cost you 10,000 yen ($118). And don’t worry, the latest burners from Pioneer and Buffalo already support these new discs. If you have other hardware, it’s a good idea check your specs and make sure they are supported before ordering. Otherwise the mistake could be costly. 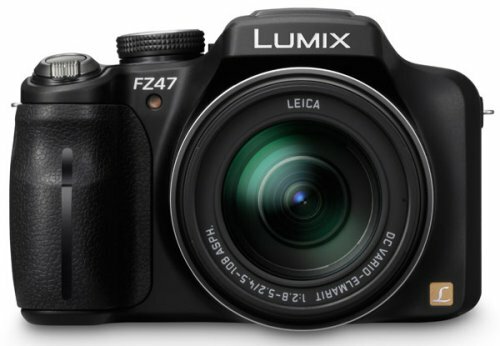 Panasonic has upgraded their Lumix line of digital cameras with the DMC-FP7. It features a powerful 16 megapixel sensor, 4x optical zoom and a 3.5-inch touch screen display. It also has some nice features for image editions and retouch. The Reality Retouch mode is great for your vanity since it lets you get rid of wrinkles, reduce shine etc. While makeup mode lets you add mascara, eye-shadow and coloring. It will cost you $230. Think of it as a cheap face-lift for those who only see your photos. When they see you in real life they may not even recognize you. 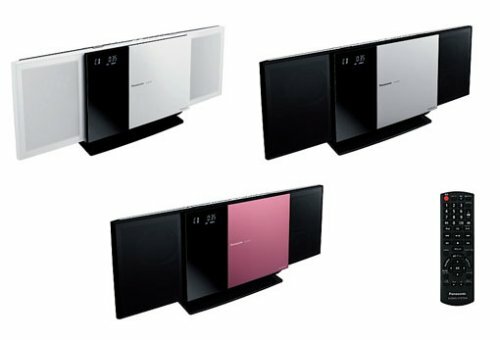 Panasonic has launched three new iPhone/ iPod docking stations in Japan. They are the SC-HC55, SC-HC35 and SC-HC05. All of these new docking stations come with FM radio and Bluetooth support. The Panasonic SC-HC55 is the high-end version and features a CD player and Bluetooth hands-free module with an output of 2x40W. The Panasonic SC-HC35 lacks the Bluetooth hands-free module, while the Panasonic SC-HC05 is an entry-level model without a CD player and Bluetooth hands-free module. They look pretty good. 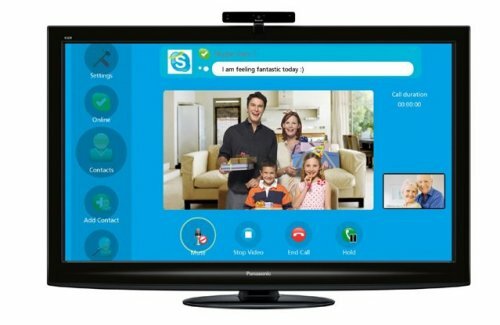 Panasonic has just announced that their new VIERA Cast Blu-ray players will have the ability to make voice and video calls over Skype. Just press the dedicated Skype button on the remote control to launch Skype. That’s it. Video and voice calls will require a supported webcam of course, one that works with the VIERA Cast Blu-ray player. Using Skype on the VIERA Cast will also give you access to Standby Mode which you can personalize with different ring tones, Answering Message so you can record a personalized message to answer your calls when you’re away and the ability to record messages left on an SD card. 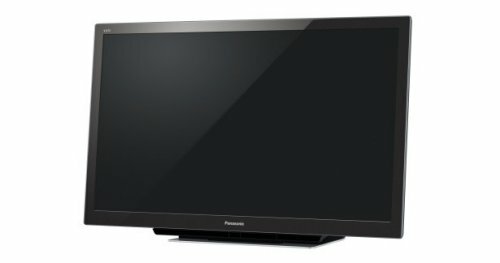 Panasonic has issued a press release with pricing and availability for its 2011 LCD HDTVs. The 37- and 32-inch DT30 (shown above) will ship in April for $1,299 and $1,199 and they will include the newly upgraded Viera Connect with Hulu Plus, 3D features and more. The E3 and X30 series will feature just the basics: Netflix, Amazon VOD, Napster, Pandora, Facebook and CinemaNow. We know from the image above that they excel at displaying butterflies. Panasonic is offering a new range of 3D LED TVs for the UK market, as the DT30 series. The line consists of 32″ and 37″ models, with the 32″ model being the TX-L37DT30. The 37 incher is the TX-L37DT30. Both feature IPS panels for a superior viewing angle, better motion response, and Intelligent Frame Creation for better 3D images. Some other features that these models also offer are: Viera Connect Internet access and pre-loaded apps for access to services like Twitter, Facebook and Skype, Wi-Fi, DLNA support, four HDMI ports, three USB ports and VGA input. 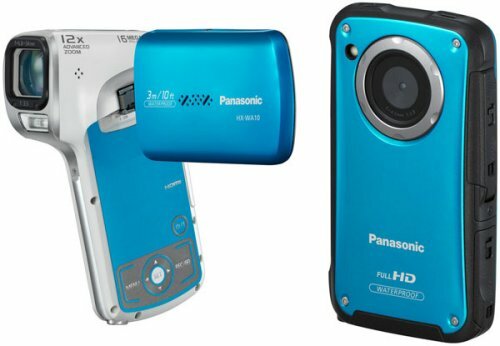 Panasonic has announced two camcorders for those of us with an active lifestyle. These models aren’t for couch potatoes. They offer a durable build, 1080p video recording modes, electronic image stabilization, mild waterproof/shockproof casings and high-resolution megapixel still pictures. They go by the names of HX-WA10 and the candybar HM-TA20. The HX-WA10 is designed for shooting outdoors and in rainy conditions and can capture 16-megapixel still images. The HM-TA20 has a waterproof, shockproof and dustproof design and a Night View mode for dim lighting. The large 3-inch touchscreen LCD display that should make using it super easy.